The first caucus of the 2016 Presidential race took place Monday, February 1st in Iowa. It was an extremely tight race for the candidates. Hillary Clinton and Bernie Sanders were neck and neck for the majority of the night until Clinton pulled ahead with 49.9%, just over Sanders’s 49.6%. Martin O’Malley lagged behind with 0.5%. In the Republican caucus, Ted Cruz pulled ahead with 27.6%, Donald Trump landed in second with 24.3%, and Marco Rubio pulled in third with 23.1%. There were some candidates that dropped their campaign, including Rand Paul, O’Malley, and Mike Huckabee. Overall, the candidates seemed to move on with their campaigns in New Hampshire. Even Donald Trump did not seem too disappointed in getting second. 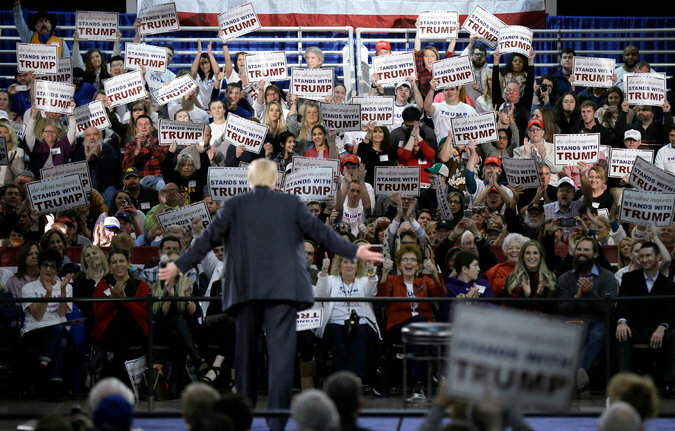 Trump accused Cruz of fraud, including lying to voters to influence them to caucus for Cruz. He even asked for the caucus to be reheld or nullified. 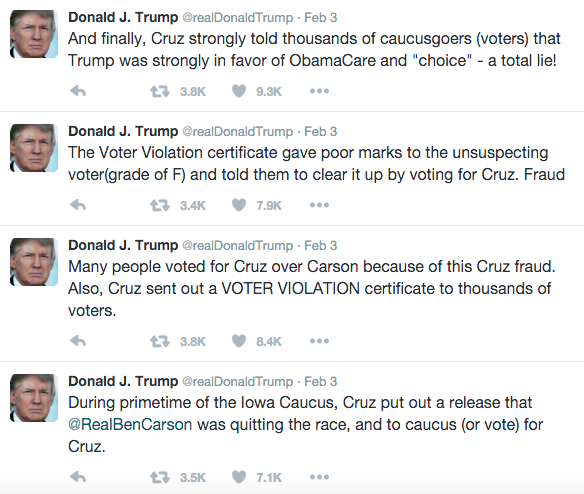 Trump also tweeted pictures of the alleged announcement that Cruz made about Ben Carson and the Voter Violation Certificates the Cruz campaign sent out. He asked that Cruz be disqualified from the election. 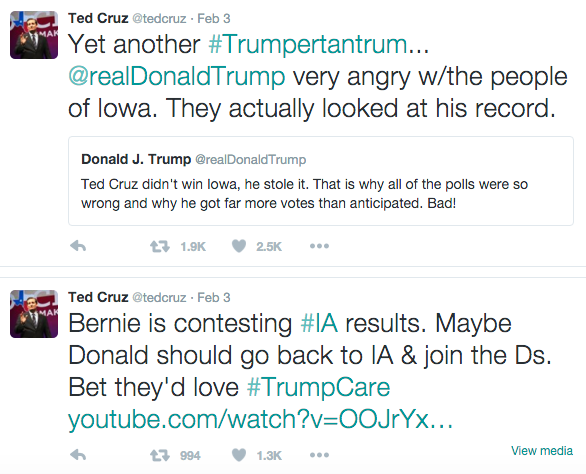 Cruz reacted by tweeting that this is just “another #Trumpertantrum” and comparing him to Sanders. Do y’all think this is just another #Trumpertantrum? What did you think of the caucus? Let us know in the comments below!